Would you allow ads on your phone for a cheaper contract? 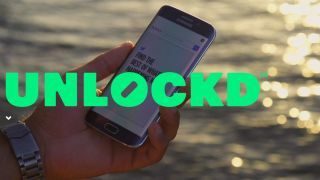 Australian firm Unlockd will launch its unique smartphone ad platform in the UK this summer – and it could save you money on your contract. The service serves you a full-screen ad every time you unlock your smartphone in return for discounts or rewards, including extra data on your monthly allowance or money off your contract. The service is already running on US carrier Sprint's Boost line of tariffs, with customers able to opt-in to Unlockd in exchange for $5 off their monthly bill. There's no exact release date for the UK service just yet, with "summer" the best we could get from the firm's spokesperson, but we do know it will be exclusive to one network at launch. The network, and the associated rewards and/or discounts, will be announced at a later date. Only those with Android phones will be able to get involved, and there will be a limit on the number of ads you get served each day – although we're waiting to hear just what that limit will be. On Boost it's currently between 40 and 50 a day. In the US, you need to have the app running for 30 days to be eligible for a reward or discount, so you won't be able to turn the service off for a few days if you still want to cash in for that month. While details of the UK service are yet to be confirmed, it's likely to work in a similar fashion. The ads are displayed full-screen when you unlock, with a cross icon in the corner appearing immediately, enabling you to close the ad if it doesn't interest you. There's also a heart icon, which lets you save the ad for later if it interests you, and you can tap the ad to go directly to the promoter's page if you wish. Let us know your thoughts on the service in the comments below – would you be tempted to sign up if it meant spending less on your phone?